This was driving me nuts on my Windows 7 x64 Laptop. I was getting a dozen of these an hour! This error is caused (from what I can gather) by an error in certificate negotiation, your machine is trying to initiate communications with another machine/server using a certificate and TLS and the process is producing this error TLS1_ALERT_UNEXPECTED_MESSAGE (10). 1. 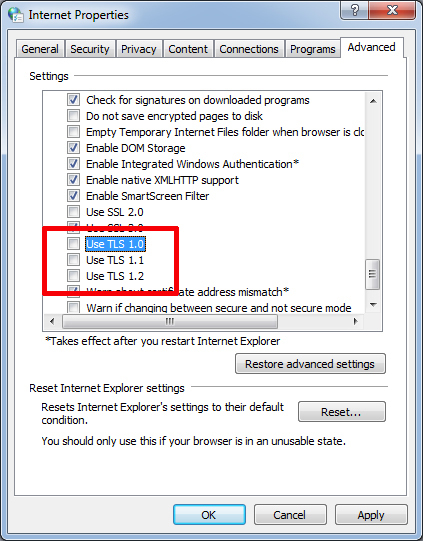 If your browser is the cause of the problem, then simply open Internet Options > Advanced > Untick all the TLS options > Apply. 2. However this DID NOT WORK for me, so something is programmatically chatting from my laptop using TLS. 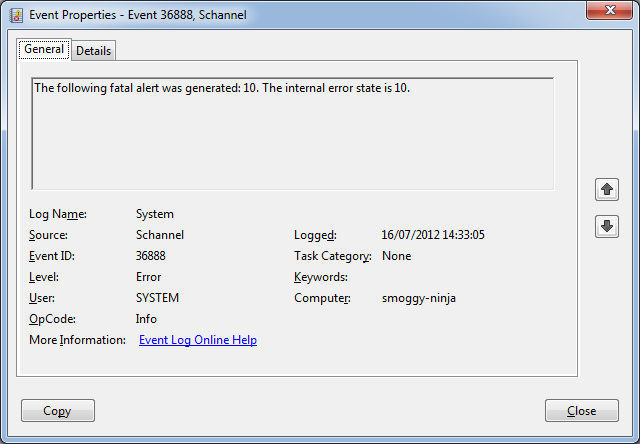 The bottom line is, this problem is probably not even on your machine, so I’m simply going to disable SCHANNEL logging. 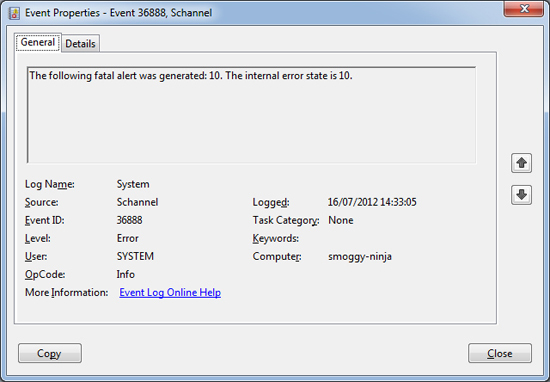 Note: If your Error does NOT say “The following fatal alert was generated: 10. The internal error state is 10“. then I would suggest NOT doing this. Change the EventLogging value from 1 to 0 (that’s a zero).